Worship Service and Sunday School. Thank you for visiting the Trinity On The Hill United Methodist Church Website. Please Join Us at Trinity this Sunday! We are all Disciples of Jesus. Martha Martin, and Mary Morris. A call, card, or visit to these would be helpful and most appreciated. If you need a phone number or an address, please call the church office at 706-884-4976. God has called each of us at Trinity to participate in our growing family of dedicated followers and witnesses of Jesus Christ who gather for spiritual growth, fellowship and service. This includes Christ-centered ministries to help identify and meet the spiritual and physical needs of individuals and families in our community and lead them into a personal relationship with Jesus Christ. Invite a co-worker, friend, neighbor or family member to attend our church with you. Nursery available for children age five and younger. To Begin Prayer Chain: Click here or if you cannot email your prayer request, please call Patsy Manning at 706-884-5500. Master Calendar: Posted in the work room located across from the Pastor’s office. Please post meetings, events, activities, etc. Altar Flower Calender: Posted in the Work Room located across from the Pastor’s office. Please see calendar to reserve a Sunday. TV Ministry Program: If you would like to donate to this vital ministry of our church, please make check payable to Trinity On the Hill and mark check for TV Ministry. If cash please use an offering envelope and mark envelope for TV Ministry. We invite everyone to our Pancake Breakfast Fundraiser in the Christian Life Center Cost: $7.00. Please see Jeremy Storey for your ticket(s). Altar Flowers: are given to the Glory of God in honor and in memory of Jerry Manning for his April 8th Birthday by Patsy, Stacye, Camden and Tim. Dear Church Family, We would like to thank everyone for your support for the Boy Scouts’ pancake fundraiser. Easter Cross: Please bring cut flowers to place on the Easter cross as you arrive for Sunday School or Morning Worship. The cross will be located outside at the front entrance to sanctuary. Dear Church Family, Please keep our scouts in your prayers as we teach the boys and girls how to become productive citizens. The United Methodist Women will help support the American Cancer Society Relay for Life. If you would like to make a donation, please make checks payable to: American Cancer Society (today – Tuesday, April 23rd). Please give checks to Barbara Norred or Patsy Manning. If you would like to light a candle in memory or in honor of someone please fill out the form located on the tables. 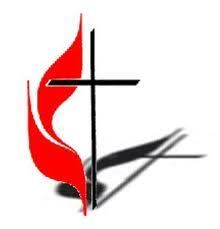 Fellowship Club Annual Church-Wide Yard/Trash/Treasure/Bake Sale: You may start bringing items for the yard sale now. Please be sure to call the church before you come to drop items off. A room in the Christian Life Center has been marked for yard sale items. If you have large items you cannot get to the church, please contact Patsy Manning or Alice Howard to arrange for pick-up. For our bake sale we need home-made baked goods, please contact Patsy Manning or Alice Howard if you can help. Be sure to join us for breakfast Saturday morning, May 4th (Sausage/Biscuit, Red Link/Biscuit, Coffee).